There has been a very large amount of top news and product releases in the virtualisation community in the last month since my last All Things Virtual posting. 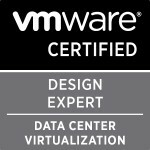 The public voting for the VMworld sessions has opened and closed in the last month and the entries for vExpert have closed with the nominees due to be released in next two weeks ( Good luck to all who submitted and hopefully loads of the people I’m friendly with in the VMware community and London VMware User Group are selected). Next is the release of VMware labs latest fling ,Inventory Snapshot. Due to my lack of having time to fully play around and try the tool I would recommend (like I will be when I have some spare time) to go to the fling site ,download the tool and rate it for yourself http://labs.vmware.com/flings/inventorysnapshot .The guide for the product is here. EMC World ran from the 9th to the 12th of May and just like VMworld there was a load of vLabs available to attendees to allow them to learn and experience new products and technologies . A number of the top guys in the VMware community who are EMC vSpecialists were a part of the planning,building and managing of this environment.Chris Horn has guest posted on Chad Sakac’s blog all about it and has given a great insight into building such a large environment and the technologies they used. Well worth the read if you have some spare time. One of the many people who helped with the EMC World labs was Simon Seagrave of TechHead fame and as mentioned in Chris’ blog posting Simon somehow found the time to do the latest instalment of the vChat series with David Davis of Trainsignal’s VMware vSphere Video Training fame and Eric Siebert of vSphere-Land fame. The chat covers everything from VMworld submissions,the latest virtualisation news and bits about EMC world. If you haven’t watched any of these vChat’s before I would highly recommend them as the guys cover all the latest and greatest things coming out. If you enjoy the vChat’s then I would recommend Mike Lavericks Chinwag’s video’s (the latest with guest Duncan Epping of Yellow-Bricks.com fame (@DuncanYB) which I found very interesting for the Ephemeral Port Groups & vCloud Director parts) and the vSoup podcasts by Chris Dearden of JFVI fame, Christian Mohn of vninja.net fame and Ed Czerwin(@eczerwin) who guest blogs on vninja.net fame. The vSoups are always entertaining and all three of the guys are amazingly passionate about the technologies and from personal experience really great guys also. Speaking of Simon Seagrave and David Davis, Simon has launched a competition on his blog to win one of David’s Trainsignal videos. I’ve already got the videos myself but if you haven’t got them as yet why not apply as you’ll stand a very good chance of winning as remarkably not many people actually apply for great competitions like this. I mentioned in my last All Things Virtual the release of the VMware View App for iPad . Jason Boche has very kindly opened up a test environment for people to connect to and trial the software and app through. I’ve not yet had a chance to try his offering myself but for anyone who doesn’t have access to a VMware View environment this will be a great learning and demo tool. Jason has also co-written with Dawn Theirl (@KokopeIIi) a great posting all about the usage of Cisco Discovery Protocol in your VMware environment and goes into great depth of how it works. This posting has been extremely helpful in my understanding of the technology for my VCAP studies. Really worth a read for anyone using or thinking of using the feature with their Cisco switches. Last but not least is a warning to all VMware Administrators to make sure you read what is on your screen when you are doing certain tasks and if you aren’t sure of what your doing rather research it before doing something that may cause you to lose your job. Chris Dearden alerted a number of people on twitter to the VMware communities posting and blogged about the need to read the install screens as this poor guy obviously didn’t. Well that’s it for another fortnight/month.I hope some of the postings will help people and or those writing their VCAP exams in the coming month good luck. Categories: Virtualisation | Tags: CDP, Chinwag, DRS Audit, fling, inventorysnapshot, london, LonVMUG, Top 10 Free Tools for vSphere Management, Trainsignal, vChat, vExpert, vExpert 2011, VMUG, VMware, VMware View Client for iPad, vSoup | Permalink.